There is still time – just about – to claim some free Sauvignon Blanc, courtesy of our friends at InterLoire. All 18 wines in the latest Sauvignon Blanc de Loire Ambassadors project have been made available. Simply pick the three that appeal to you the most, email your choices to romain.priore@sopexa.com, and we’ll do our best to send you two bottles of each of the wines you’ve requested, for no fee. If any of your choices are no longer available, due to high demand, we’ll substitute it for another one of the Sauvignons in the selection. The offer is only available to UK-based independent wine retailers, so please make sure you include your shop name and address in your email. This is an InterLoire promotion through Sopexa UK. Information supplied will only be shared with the wine producers of the three wines selected and not with other third parties. Visit www.vinsdeloire.eu and www.vins-de-pays.info for further information. LOVE THY NEIGHBOUR is not an easy commandment to obey if the neighbour happens to be a £280m retail giant with a razor-sharp marketing department and its sights trained on your customers. For many independents, the prospect of a Majestic opening nearby sounds an understandable note of terror. The problem is that Majestic just keeps on growing. 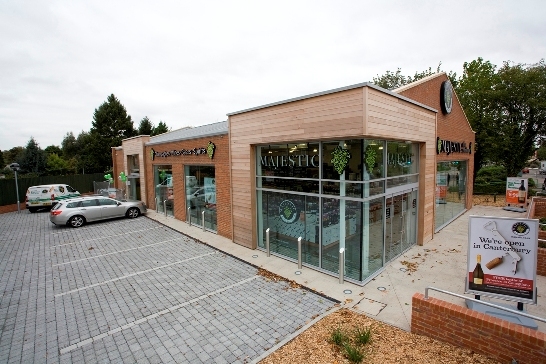 It now has 181 UK branches, opening a record 16 stores in its most recent financial year. Its customer base grew by 11% to 568,000 over that period. Sales to business customers increased by 7% and now account for almost a quarter of Majestic’s trade.